With a shared love of the sea, the six-member SaSa team has built up a network of marine species rescue centres from Da Nang to Quang Ngai to protect endangered ocean creatures like turtles, dolphins, sharks and whales. It took two days for Lê Chien , 34, and his colleagues from the SaSa rescue team to attempt to rescue a sick green turtle, but the endangered creature could not be saved as it had ingested too much plastic waste. The team was so sad to see the turtle passing away in vain, even after 20 pieces of plastic, including fishing net, styrofoam and bags were removed from its body. 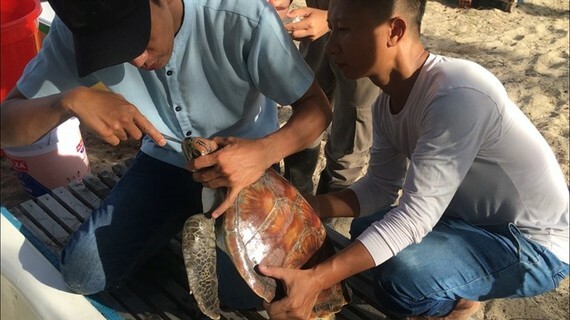 This was the tenth green turtle that the SaSa team has attempted to rescue since it was set up to protect marine species in central Vietnam. The six-member team has built up a network of marine species rescue from Da Nang to Quang Ngai in order to protect endangered ocean creatures like turtles, dolphins, sharks and whales. The team had also helped save eight dolphins that were caught in a shoal in the central coastal beaches, and a dolphin was then named for the rescue team. “The dolphin we first rescued on a beach in Da Nang was intelligent. The small dolphin, which had been attacked by a shark and lost its family, had serious injuries on its back and tail,” Chien recalled. He said the team took care of the dolphin for two weeks, but it eventually could not recover from its wounds. Chien , who worked for One Ocean on independent research of coral reefs in Đà Nẵng, said dolphins often live in groups, or pods, and some strayed when the pod is either attacked by sharks or they become ill. He remembered the most successful rescue of a dolphin, which was named Moon. The team said many dolphins get lost when they are in danger or stressed, and that’s why they end up getting stranded on beaches. A doctor uses an X-ray to identify an obstruction in a green turtle at Da Nang ’s Family Hospital. Born in Hanoi, Chien fell in love with the ocean and marine research. His work on coral reefs off the coast kept him in the central city. Chien said the team was built from six members who share a love of the ocean and marine species as well as cleaning up the coastal environment. “Plastic waste has damaged the ocean. It is a major reason resulting in the death of various turtles that we have rescued. Turtles eat plastic on coral reefs which are covered in moss,” Chien said. The 34-year-old said plastic bags looked like jellyfish – a favourite food of turtles – and that explained why plastic waste often killed the creatures. Huynh Tan Trung, 30, from coastal Thanh Khe District, said each member of the SaSa team shared experience and skills in helping with voluntary rescue activities. He said the team had to cover rescue costs themselves. 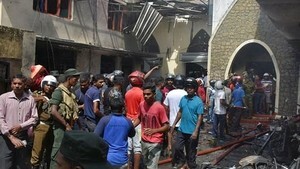 “We voluntarily reserve time and money for rescue activities. We did that out of our love of the sea,” Trung said. The Da Nang-born environmentalist makes his living from home decoration and odd jobs, while setting aside time whenever sea creatures are in danger. The SaSa team doesn’t yet have enough funds to build a rescue centre – where they could have full facilities and equipment for their activities. Chien , the team leader, said they had to shoulder the cost of the stretchers and facilities for saving stranded dolphins and turtles. The Hanoian said the wounded green turtle, named Chi, was a special case that the team took to a private hospital for hi-tech X-Ray and endoscopy. 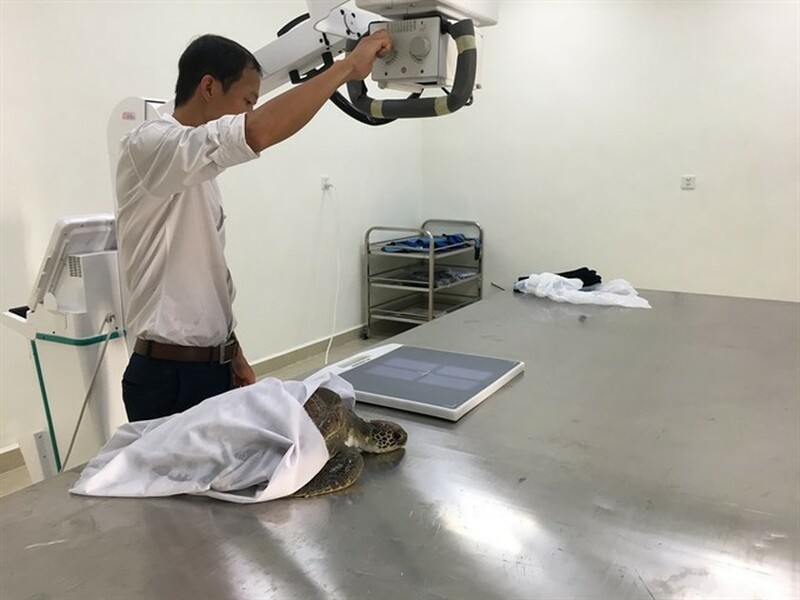 “Medical treatment for Chi was the first case in Vietnam when a turtle needed support from skilled doctors and facilities. It’s also the first case that doctors used X-Ray technology to identify a digestive obstruction,” the SaSa team leader recalled. Doctors from Da Nang-based private Family Hospital spent three hours removing 20 pieces of plastic, plastic bags and styrofoam pieces that got stuck in Chi’s intestine, but Chi was too weak for the next endoscopy and died two days later, according to Chien . He said Chi could not swim or eat anything because the plastic waste blocked food from getting in. Chien said the plastic waste off the coast of Da Nang could kill green turtles and fish living in coral reefs and his SaSa team spent one month cleaning out fishing nets and plastic bags off Son Tra coast. The team plans to clean a 400km stretch of coast from Da Nang to Binh Dinh as part of a voluntary campaign to keep the central beach free from garbage. Chien said the team has also opened a café in Son Tra peninsula to raise money for its vital work. He said the team needed support in building a sea rescue centre on the beach in Da Nang to respond to emergencies. Diving equipment and a pool are needed for dolphin and turtle rescues as well as medical treatment and rescue skills education for prolonged operation of the SaSa team, Chien said.